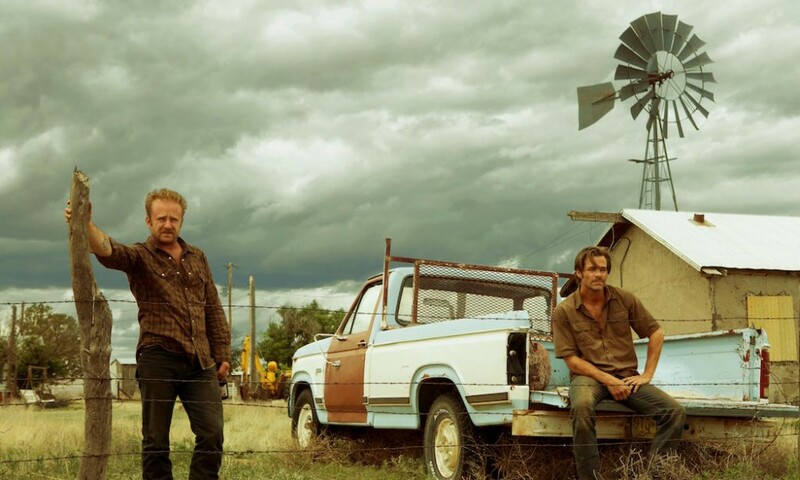 For about eleven years, I lived in some of the most poverty-stricken areas of rural central Texas, not too far from where writer/director Taylor Sheridan grew up. The extent of this poverty is difficult to believe. It impacts people of color worse than whites in the same conditions, although it’s harder to see how in places that lack ethnic diversity (this diversity is much more prevalent in Texas than Hollywood often suggests, but is certainly not state-wide). Some Texan towns still seem segregated, with the famous Highway 6 serving as the dividing line. Turn right, you’ll find 1950’s-esque “Wally and the Beave” white-picket neighborhood; turn left, and you’ll find yourself in the kind of poverty that many don’t believe exists in America anymore, where homes are shacks and electricity is a luxury. One neighborhood is a postcard, the other is a nightmare, both are reality, and the most chilling aspect is knowing that the latter situation isn’t a choice. It is the kind of socioeconomic circumstance that is generational: True, systemic poverty. These pockets of poverty aren’t the targets of the “War on Poverty,” where the hundreds of Christian churches in the area plan their Mission’s Trips, where government housing is built, or where there’s even a doctor around for fifty miles. It is the places of poverty that are entirely forgotten, overlooked, or left behind. The result is a population of people who say they will die in the graveyards they were born into, but not without prayer, point, or purpose. I never thought anyone would be able to capture this rural poverty in cinema without coming across as voyeuristic. I honestly never thought anyone would even bother to make a film about this kind of poverty at all—but, while he didn’t capture it fully, Taylor Sheridan comes close in his screenplay for Hell or High Water. The story skirts racial disparities that characterizes some of the poverty in the Texas Bible Belt, but does not negate the suffering of anyone stuck in generational poverty. It helps that the writing is so damn good. Director David Mackenzie does a fantastic job of translating the story to screen: Two brothers (Ben Foster, Chris Pine in their best performances to date) attempt to break their poverty cycle by going on a cross-county string of bank robberies as the police stumble two steps behind (headlined by Jeff Bridges and Gil Birmingham, equally strong in Oscar-caliber performances). However, with a script so powerful, empathetic, and informed, I can’t help but wonder if much of the heavy lifting was already spelled out—literally. Sheridan takes a heavy issue and imbues a sense of adventure, rich characters with hidden motives, and a cold objective glance into the culture of poverty. Those looking for entertainment will find just that, but it comes with the message that poverty is most often “a disease” passed down from family to family—a timeless cycle that never breaks because someone else outside of it stops and decides to help. That is the Savior-type story on poverty I expect Hollywood to make. Watch It When: (A) You’re looking for one of the best modern-westerns to-date, (B) Interested in an action-story that shows—not tells—the culture of poverty, or (C) Are trying to decide which of the “Chris” actors are the best (In Evans v. Hemsworth v. Pine v. Pratt, jury rules: Pine, by a landslide). While You Watch: What is needed to end a generational cycle of poverty (e.g., physically, cognitively, psychologically, emotionally)? Love this piece. Nice to have you back.